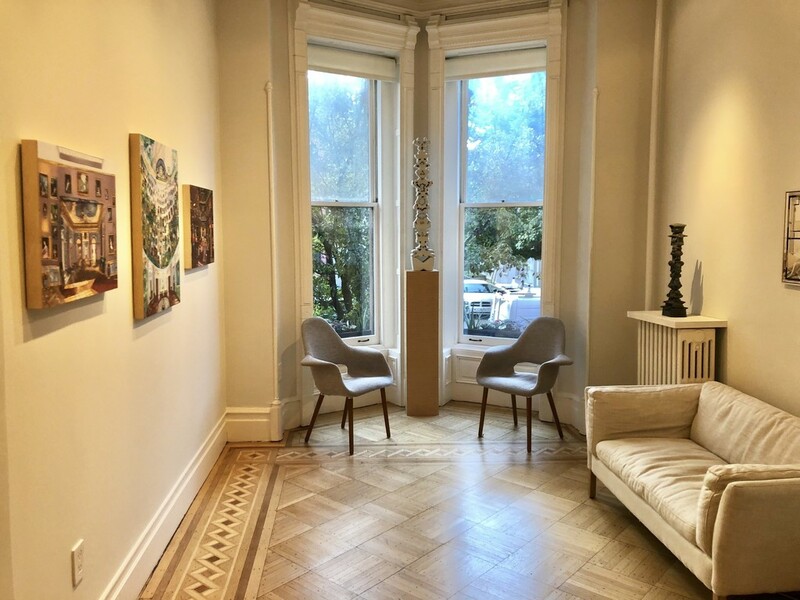 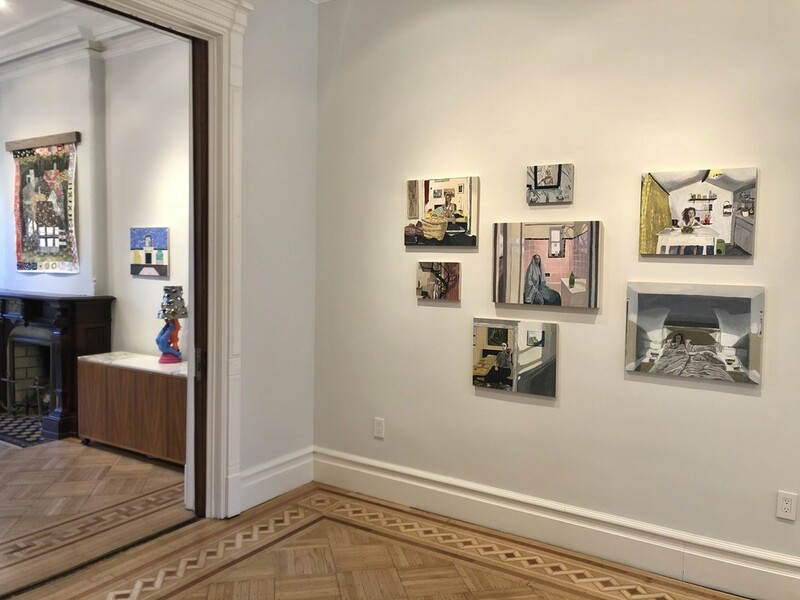 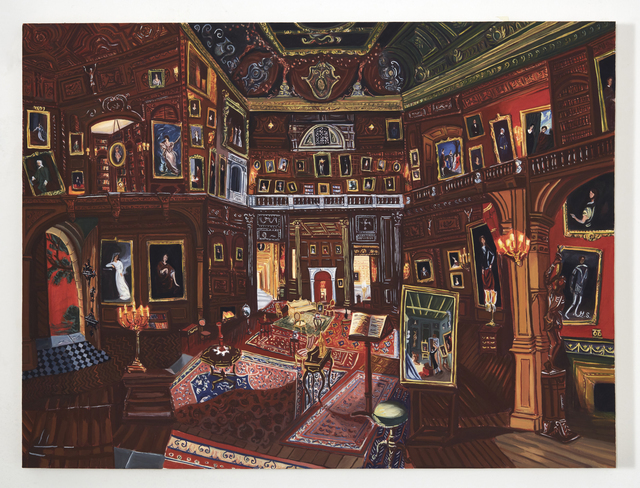 Gretchen Scherer’s paintings of gilded mansions, hallways and staircases expand and contract like a dream. 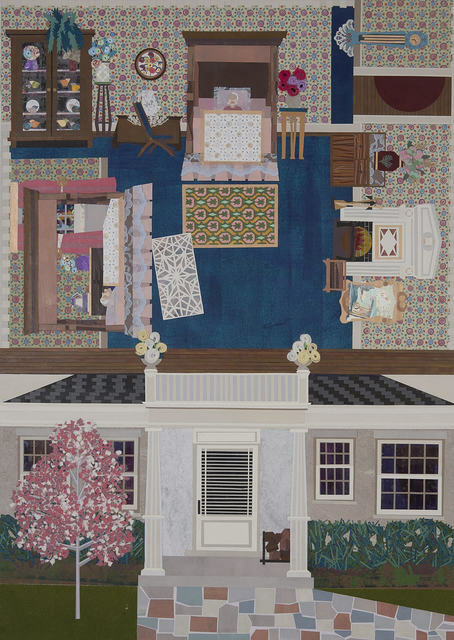 Drawing directly from vintage antique and home décor magazines, Scherer creates her own interiors- part fantasy and part reality. 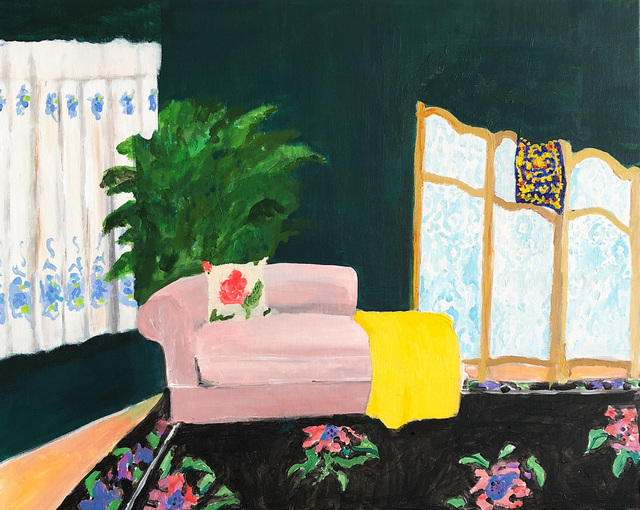 For Ann Toebbe, home spaces and their decorative layouts are clues to a larger story. 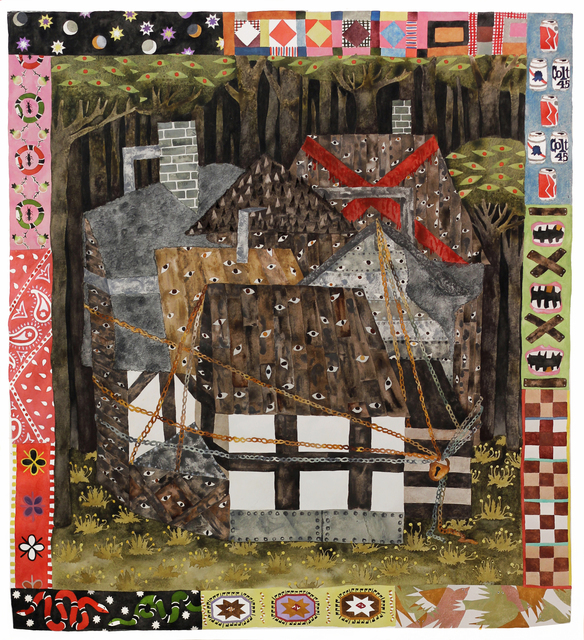 Her spaces are viewed from above like an architect’s blueprint, yet through nuance and decoration each painting reveals stories about their missing inhabitants. 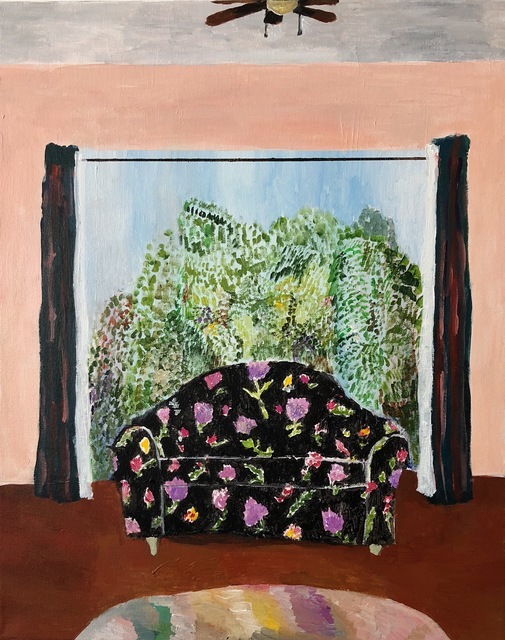 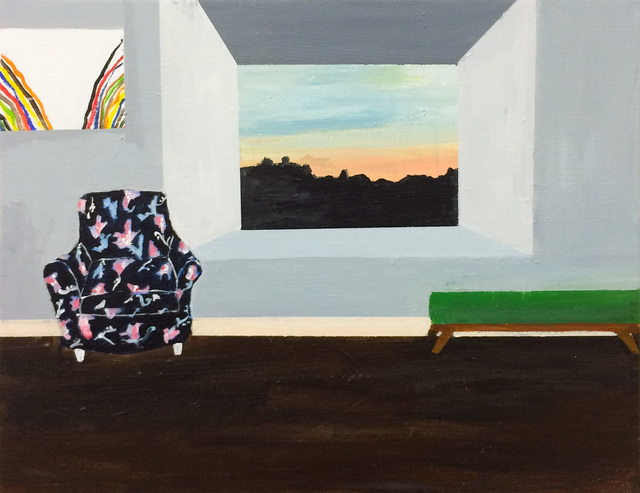 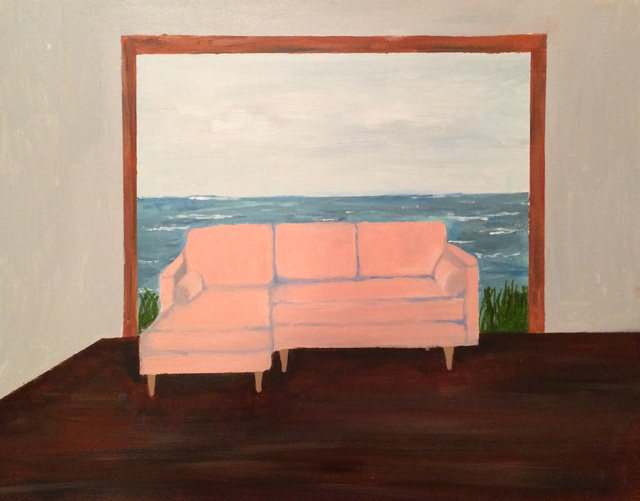 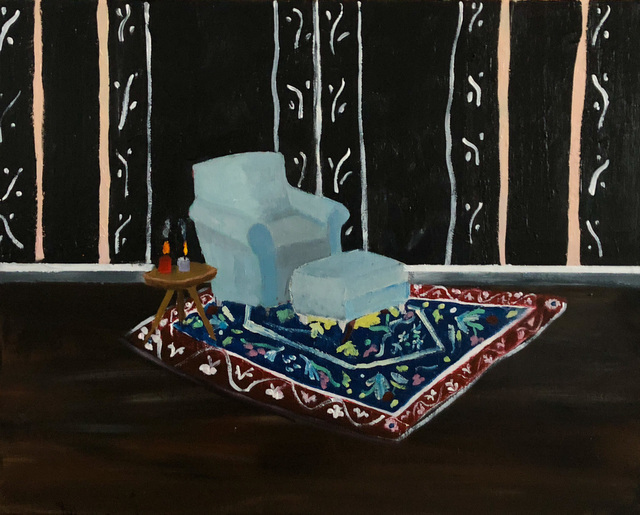 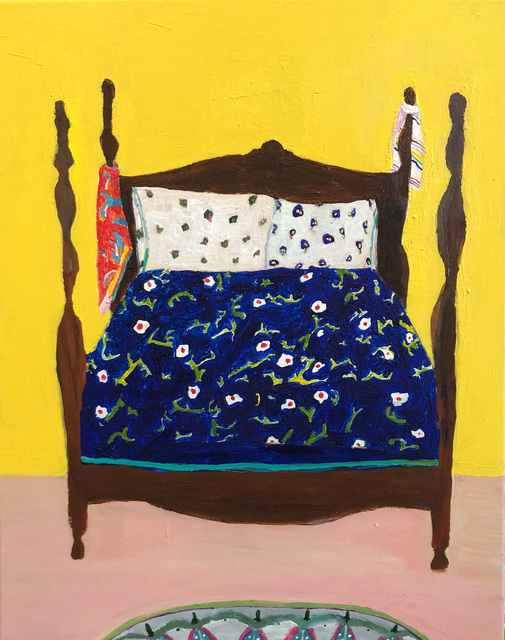 Similarly, artist Polly Shindler crafts paintings of overstuffed sofas, favorite chairs and bedroom nooks. 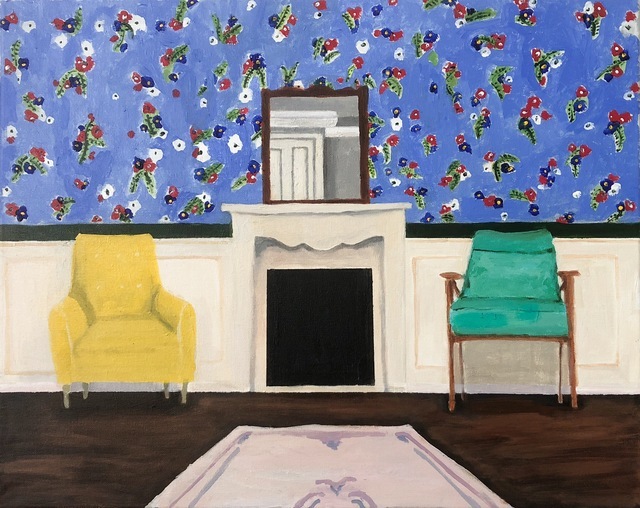 Her work speaks to the necessity and pleasure of crafting our home spaces as well as the personality these objects bring to the way we live. 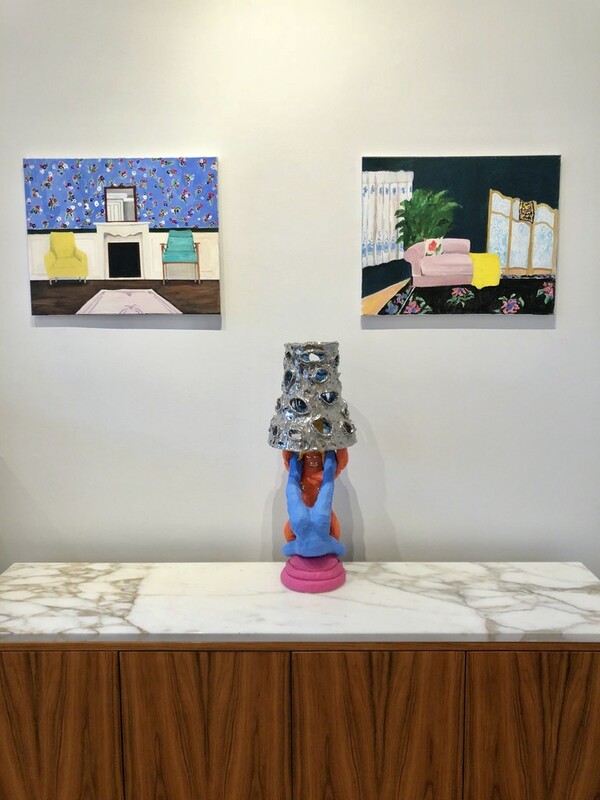 Working in ceramics, Katie Stout’s practice is shaped by an urge to subvert commonplace household objects such as lamps, rugs and mirrors. 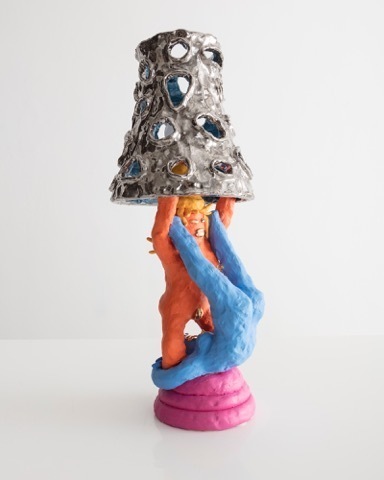 Her voluptuous figurative ceramic lamps combine dark irony with playful celebration. 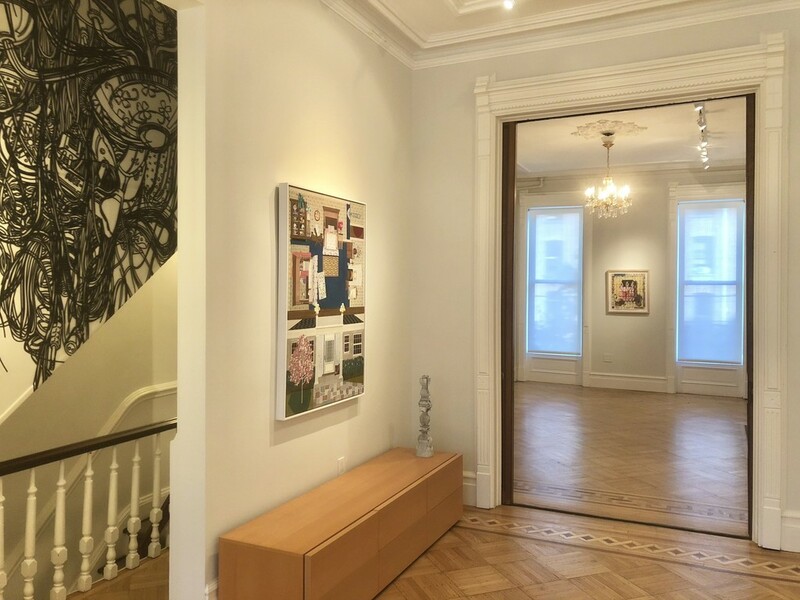 Rachel Granofsky’s photographs satirize the staged home imagery found in online real estate websites in NYC. 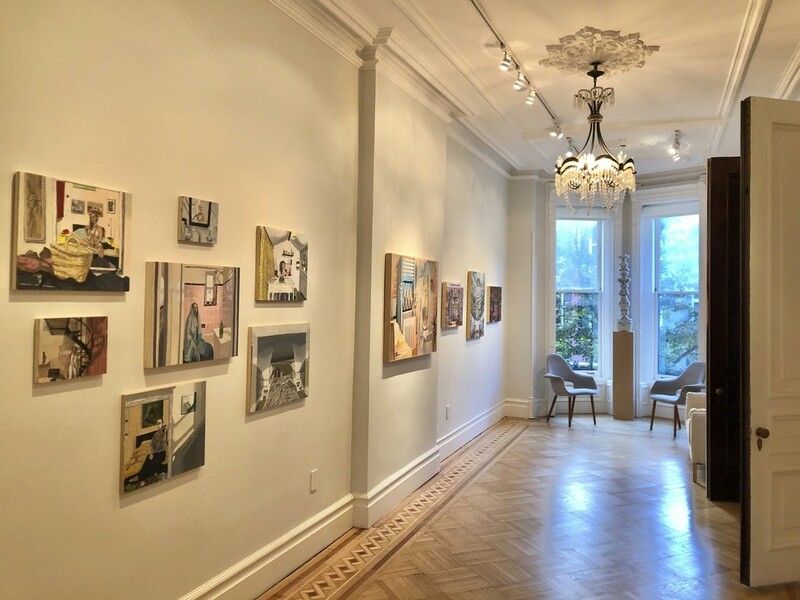 Working without any post-production editing techniques, her work serves as a reminder on the deception present in real estate photography, Instagram-able home imagery and human perception in general. 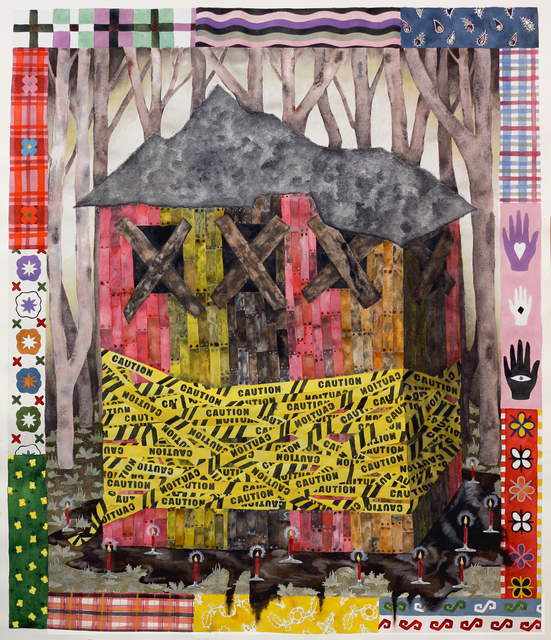 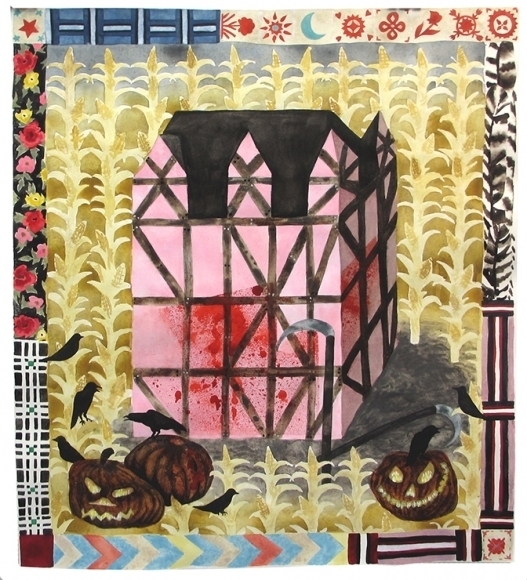 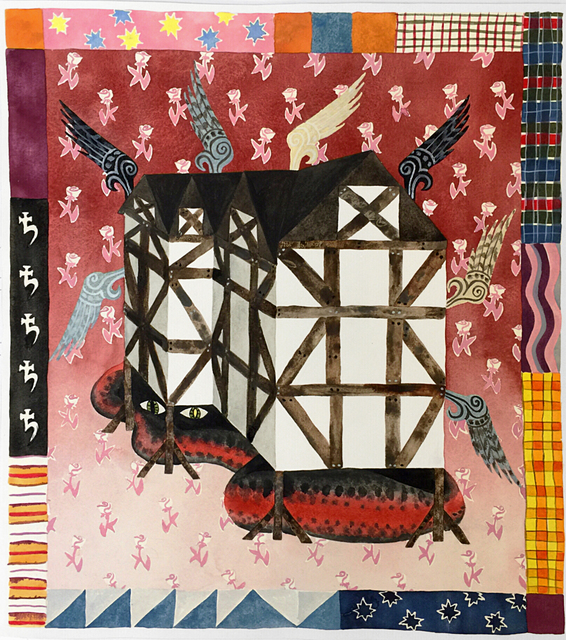 Keri Oldham’s watercolor paintings depict haunted houses that cross between cabins and crime scenes. 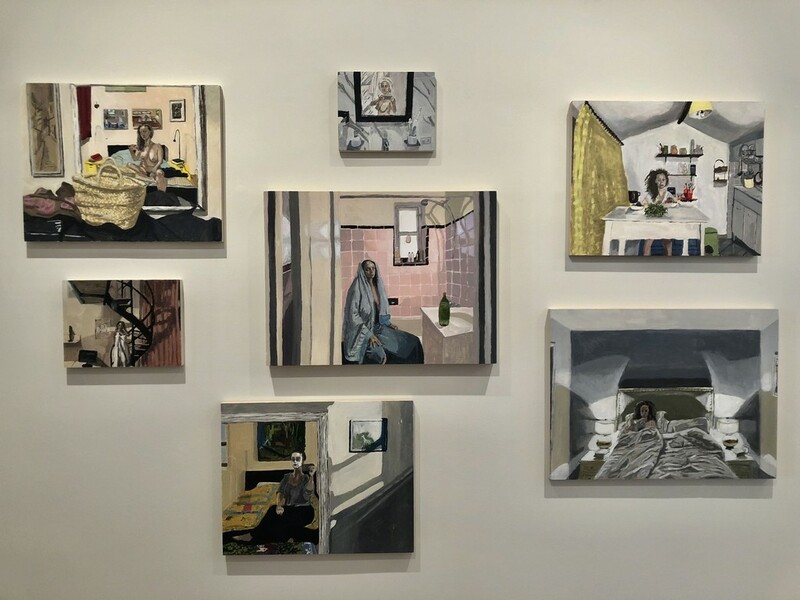 Her work explores the psychic residue of spaces and the trauma a home can hold, even after its inhabitants have moved on. 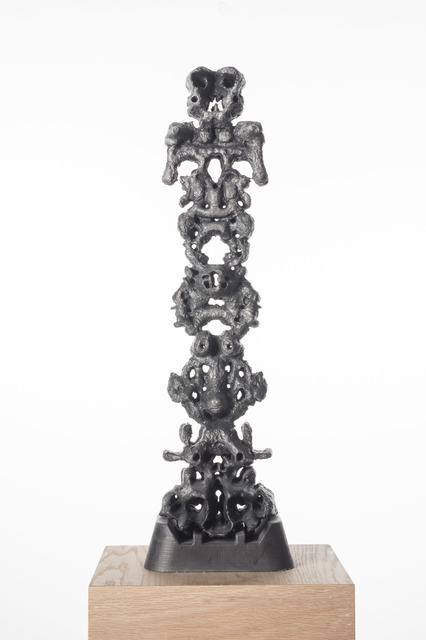 Utilizing the iconic Rorschach Test, Colette Robbins creates domestic sculptures that invite personal projections. 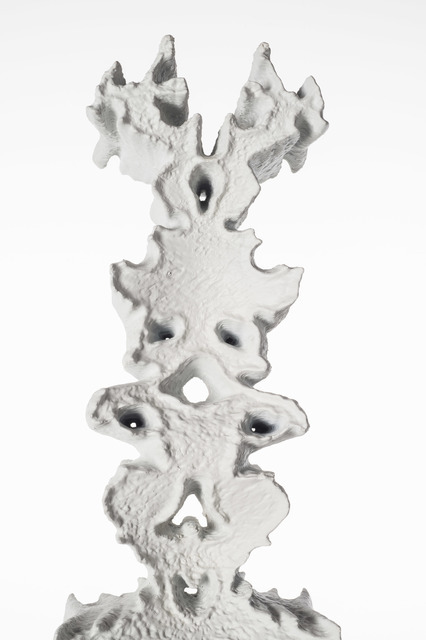 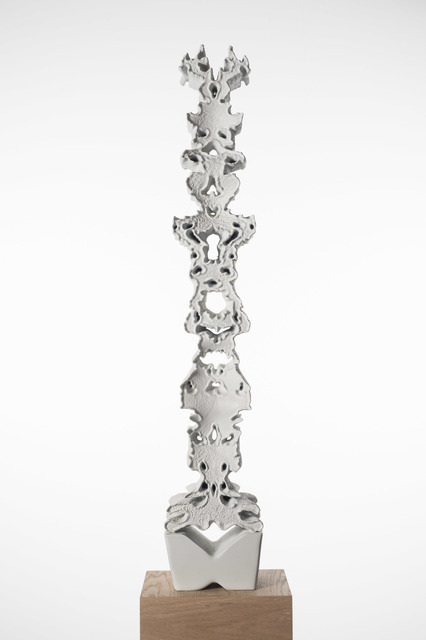 Her Rorschach inspired sculptures act as portals to our inner worlds and are portraits of our mental interior ‘home’.